The LA Promise Zone is comprised of five ethnically and linguistically diverse neighborhoods based in Central Los Angeles – Hollywood, East Hollywood, Pico-Union, Westlake and Wilshire Center. These communities face a series of challenges greatly attributed to a large number of families living in poverty. Before its inception, the LA Promise Zone designation was based on three Federal Initiative awarded to the Youth Policy Institute: the Byrne Criminal Innovation Program, the Los Angeles Promise Neighborhoods and the Choice Neighborhood Planning Grant. 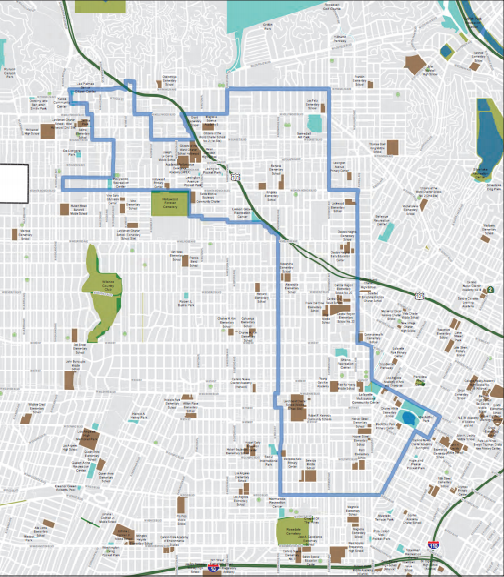 The LA Promise Zone includes the following zip codes: 90004, 90005, 90006, 90010, 90015, 90017, 90019, 90020, 90026, 90027, 90028, 90029, 90036, 90038, 90039, 90057 and 90068. Check our all our partner locations!